It’s Day 280 of “365 Things to do in Cincinnati” and today I braved this frigid weather and took a trip to Glendale to visit the Bluebird Bakery. 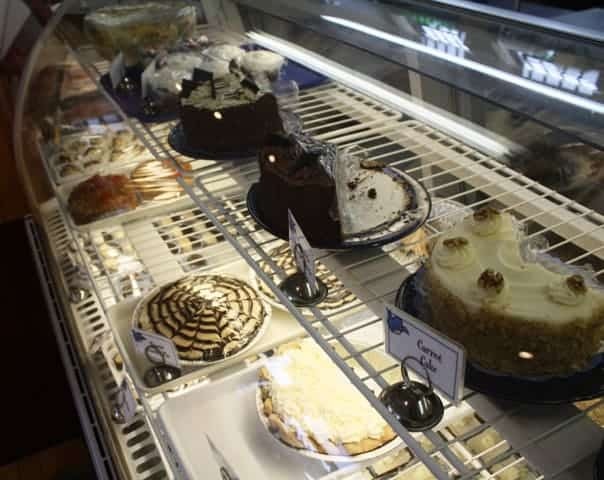 Nestled in amongst other shops in the Village Square of Glendale sits the Bluebird Bakery. 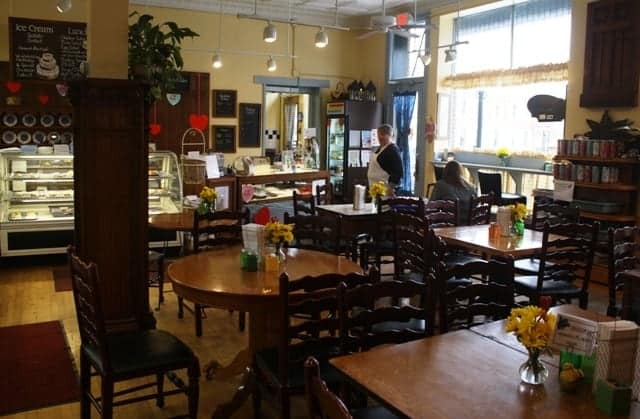 The bakery is bright, open and sunny even on a dreary winter day like today. 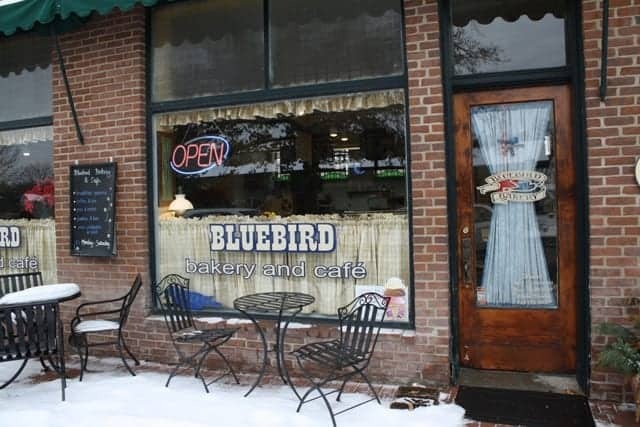 The Bluebird Bakery is part traditional bakery and part cafe. They serve all kinds of baked goods as well as breakfast and lunch. As you can see in the picture above, they have lots of very comfortable table space if you’d like to eat in. And when the weather improves you can enjoy your bakery treats out front on the patio. 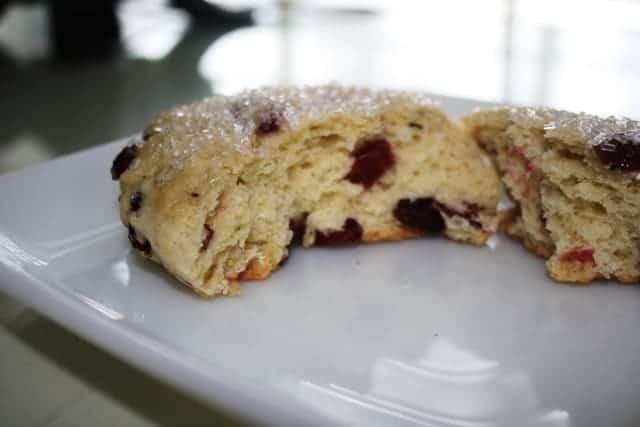 That’s a cranberry orange scone that I brought home and had for lunch. There’s a reason why I’m on Weight Watchers. 🙂 It was very good. The texture was spot on, the scone was moist and the flavor of the cranberries really stood out. And the sugar on top just put it over the edge! They also have a variety of cookies, candies (Rum Balls, Mounds, and Buckeyes just to name a few) and dessert bars (Lemon and Key Lime, etc.). 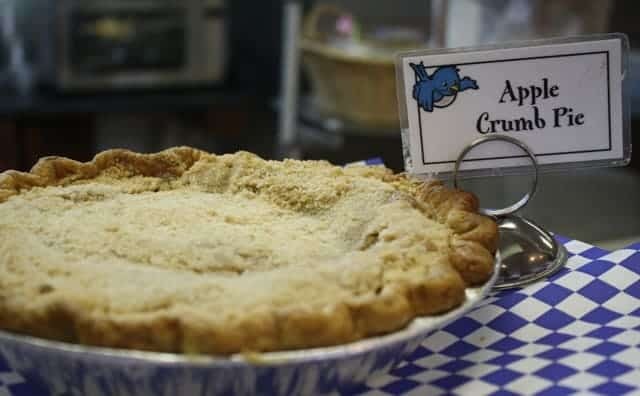 The breakfast and lunch selections include quiche (buy it by the slice or the whole thing), chicken and tuna and egg salad sandwiches, as well as soup and chili. I am so glad I found the Bluebird Bakery! I will definitely return (after Weight Watchers of course). And if you make the trip to Glendale be sure to leave some time to drive around the neighborhood. 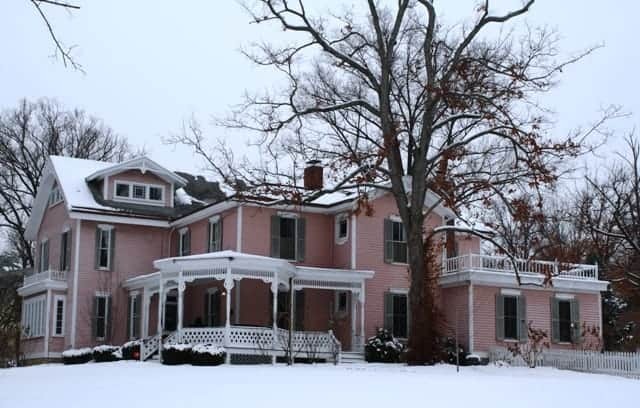 The houses are INCREDIBLE (even on a blah winter day). thanks bridgett for the great write-up, glad you enjoyed your day in glendale!